Earlier this month, a single Pacific bluefin tuna caught off Japan’s northeastern coast sold for whopping £1.09 million at a Tokyo fish market. Earlier this month, a single Pacific bluefin tuna caught off Japan’s northeastern coast sold for whopping £1.09 million at a Tokyo fish market. This record-breaking price is nearly 3 times the previous high of £430,000, but it is a price that is willing to be paid by restaurateurs because tuna meat is so highly prized for sushi and sashimi. However, the price reflects its rarity as the demand for its meat threatens to wipe out this species. The bluefin tuna is the one of the fastest, largest and most impressive fish in our seas. There are three species – the Pacific, the Southern and the Atlantic, and numbers of all three have been reduced due to overfishing. Populations of the Southern bluefin tuna, found in the southern Pacific Ocean, have dropped to 3-8% of its original levels (well below accepted sustainable levels), and stocks of Atlantic bluefin tuna have fallen by 60%. Based on a recent stock assessment, the Pacific bluefin tuna population is estimated to have fallen by 96.4% after decades of overfishing. 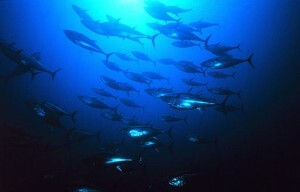 The Pew Environment Group, a conservation organisation that runs a global tuna conservation campaign, says that this species is ‘being hit from every angle.’ Even though numbers have fallen so greatly, some countries are continuing to fish for Pacific bluefin tuna in its only known spawning and nursery grounds in the western Pacific Ocean. This is in stark contrast to the eastern Pacific Ocean, where the body responsible for managing the species has set catch limits off the west coast of the Americas. The fishery was closed in August, earlier than planned, when the catch limit was exceeded. 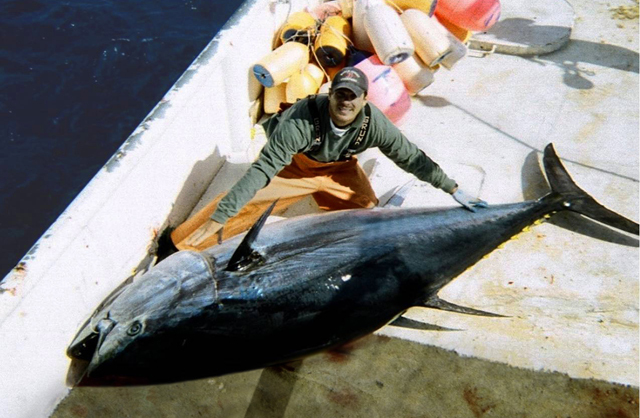 The Pew Environment Group, and other conservationists, believe that in the Pacific Ocean “the most responsible course of action is to immediately suspend the fishery until significant steps are taken to reverse the decline.” Currently, more than 90% of Pacific bluefin tuna are caught when they are juveniles, before they have had a chance to reproduce and so are not able to add to the population. 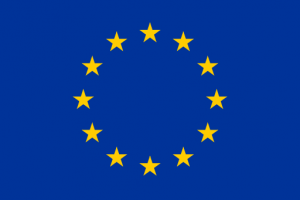 There is better news for the Atlantic species, because the body overseeing this region has decided to set quotas in line with scientific advice, with the agreement of conservation groups and the governments of countries such as the USA, Japan and Brazil. Meetings of the International Commission for the Conservation of Atlantic Tuna are always a battle of science versus politics, and short-term profit versus long-term sustainability, but last year the science was strictly adhered to. 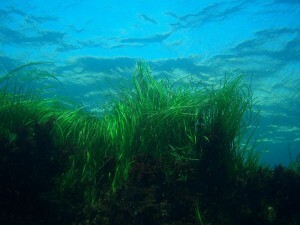 In the Pacific, however, measures to prevent the decline must be put in place. Major reductions in catches of juveniles, science based catch limits and robust monitoring must be enforced as quickly as possible to save the species. Some people may be prepared to pay to a high price for its meat, but it is the bluefin tuna that is paying the price for our greed. Unfortunately restaurants do not care about the tuna, which is very short sighted, they only care about their bank balance at the end of the week, however this in the long run is actually putting their own business out of action as sooner rather than later the tuna stock will be depleted and the demand for tuna will become extreme, that only the large franchises will be able to afford the tuna, therefore putting smaller restaurants out of business, so technically the owners are putting themselves out of business due to pure greed and ignorance. Adding CCTV and inspectors to every ship will put the fishermen under constant scrutiny and place strain on the workforce. 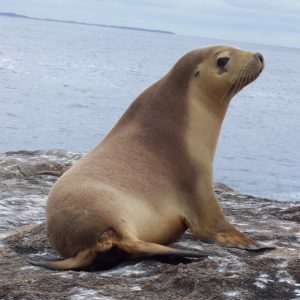 Scientists studying the decline of the New Zealand sea lion have linked it to commercial fisheries bycatch around their breeding colonies on the Auckland Islands, which has previously been assumed to be only a minor threat. Learning to manage the habitats and biodiversity within our oceans and coasts is one of the greatest challenges of this century.